A loan of $550 helped to buy natural medicine in order to increase business inventory and to satisfy client needs. Hermelinda is a woman in a relationship who lives with her partner and their two children who are young and depend on her financially. Her life partner helps her financially with the family necessities. Hermelinda sells natural medicine, and has done so for quite a few years. It is the way she contributes economically to her household. Hermelinda asks for a loan to invest in the purchase of natural medicine in order to increase business inventory and satisfy client needs. She hopes to attract more clients to generate more income, therefore giving her family a more dignified life. Hermelinda's dream is to grow her business, to make a good investment with the loan and to have a better life with her family. Translated from Spanish by Kiva volunteer Alison Trujillo. View original language description. Hermelinda, es una mujer acompañada, actualmente ella vive con su pareja y sus dos hijos los cuales son menores de edad y dependen económicamente de ella; el compañero de vida le ayuda económicamente en lo necesario para sacar a su familia. 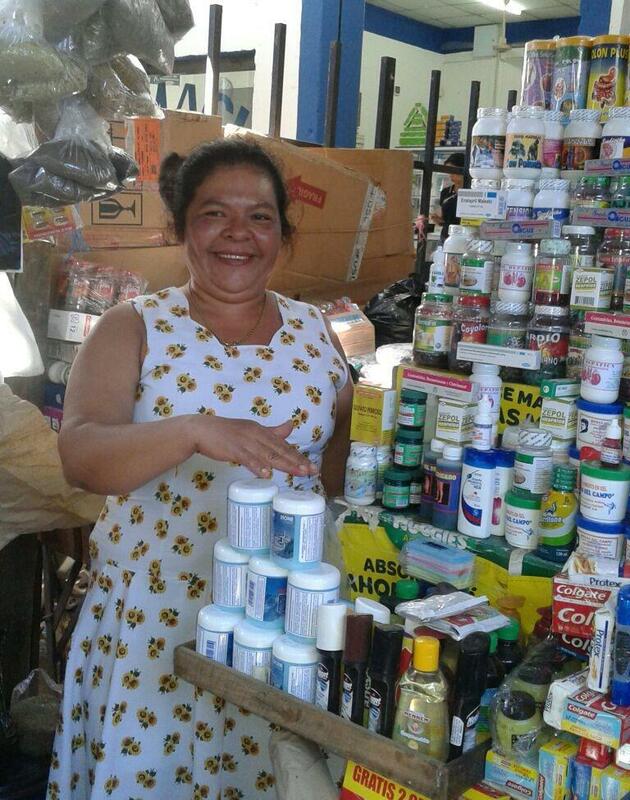 Hermelinda se dedica a la venta de medicina natural actividad que realiza desde hace varios años y es la manera como ella contribuye económicamente en su hogar. Hermelinda solicita un credito para poderlo invertir en la compra de medicina natural para poder incrementar el inventario de su negocio y satisfacer las necesidades de sus clientes, espera atraer más clientes para generar más ingresos y de esa manera darles una vida más digna a su familia. El sueño de Hermelinda es hacer crecer con su negocio, hacer una buena inversión del préstamo y tener una vida mejor junto a su familia. It empowers women in El Salvador. PADECOMSM was founded in 1992 at the end of the Salvadorean civil war. Originally PADECOMSM operated solely as a non-profit NGO providing essential services to residents that were plagued by the destruction of the civil war. About 10 years later PADECOMSM credit was born with the objective of spurring economic activity in Eastern El Salvador. PADECOMSM credit continues to provide social services to its clients through their sister NGO. PADECOMSM credit has been looking to expand into rural areas of El Salvador that are currently not being served by other microfinance institutions. They approached Kiva to help fund this expansion to serve riskier borrowers in rural areas that have agricultural businesses. Kiva is excited about working with PADECOMSM in expanding its services in this region and in particular in helping expand its agricultural loan product.